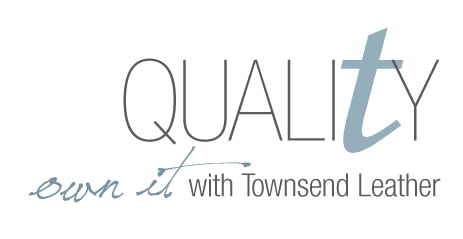 Townsend’s customized leather products are the designers’ choice for a wide range of residential, hospitality and corporate applications, as well as for luxury motor coaches, show cars and yachts. We have long been an industry leader and a preferred manufacturer of high performance aircraft upholstery leather for leading Aviation OEMs. Our VIP and head-of-state clients are a who’s who in today’s elite. Our design and manufacturing capabilities allow us to have complete control over yield, quality, and adherence to strict testing as well as offer a wide range of in-stock and custom colors, finishes, and embossings. If you are a manufacturer looking to put your own stamp on an original design, our leather can be customized to meet your exact specifications. Our passionate leather professionals can guide you to find the perfect match for your next creation, whether you are designing handbags, belts, wallets, book covers or other accessory items. 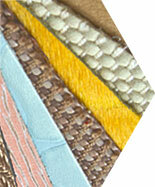 See Our LeatherBrowse our leather, build a lightbox to save & share, and order samples.